Italy’s Barrio Jazz Gang kickstart this sublime selection of music with 'Linda Cançao'. On a deep house tip with jazzy undertones, floating flute and beautiful strings, 'Linda Cançao' is already a firm favourite at Ben Watt's 'Lazy Dog' and Francois K's 'Body & Soul' in NYC. Next up, Argentina's Ciudad Feliz is an up and coming artist to watch out for. He has already started creating serious waves in the world of electronic dance music. 'Since Last Time' is an infectious slice of four to the floor funk with robotic vocals, percussive beats and the catchiest of 'twisted strings' hooks. Last but not least Japan's Kousuke Ogawa takes things on an atmospheric downtempo journey. With its subtle Japanese-influenced tribal drums, soaring saxophone and synth pads, 'Tom Vac' is full of electronic emotion. 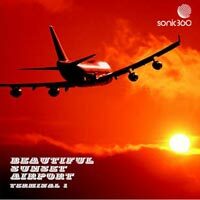 "I like this think the A side is brilliant.."
"Barrio Jazz Gang – wonderfully made sunset! Sunrise music – ah the islands." "I like all three tracks especially the cosmic flow on 'Kousuke Ogawa'." " Made for Barrio! I absolutely love this EP – the production is killer! Will be on heavy rotation at Barrio. WOW." "'Linda Cancao' is a crowd pleaser, 'Kousuke Ogawa' takes things deeper which I like."